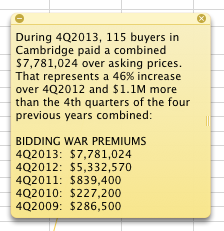 Home › Bidding wars › Will runaway bidding wars create real estate refugees in Cambridge? What would MLK do? One in thirteen sold $100K or more over asking price! In total, 115 homebuyers paid $7.8 million dollars over asking price, or $1.1M more than the four previous years combined. So hope stakeholders, particularly those driven by MLKing’s vision of a more just society, are interested in looking beyond direct costs to individual households involved in BLIND Bidding Wars, to indirect social costs, risks, and casualties, including own adult children, who also want to raise their families in Cambridge. Do the statistics above point to a New Gilded Era in the former People’s Republic? What’s the best way to address that question? 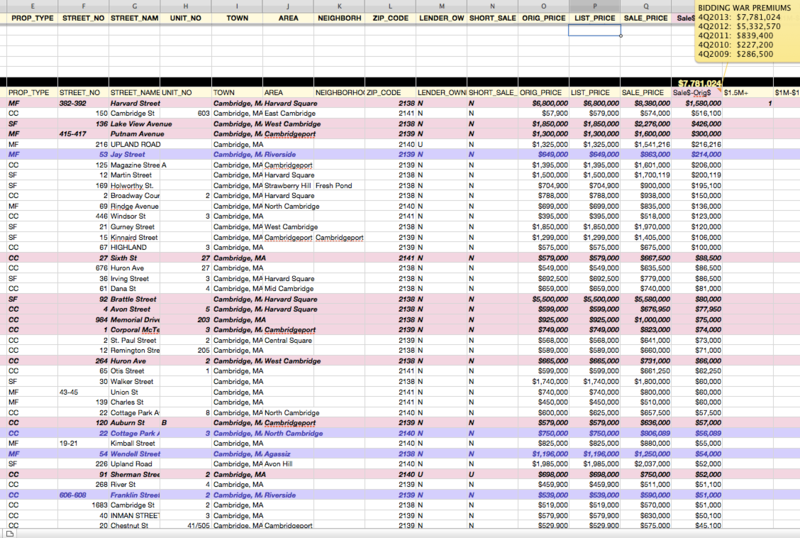 To start, would any homebuyers, researchers at Harvard or MIT, open data activists, or smart city app builders like a closer look at patterns behind sales $50K or more over asking price shown above? 2. Innovators at MIT’s Media Lab, Harvard iLab, and the start-up community will explore ways to create an open, real estate eco-system that insures transparency and equal access to housing opportunities while minimizing costs and games real estate agents play. If anyone wants to honor MLK this weekend by talking on or offline about next steps, please contact Real Estate Cafe!